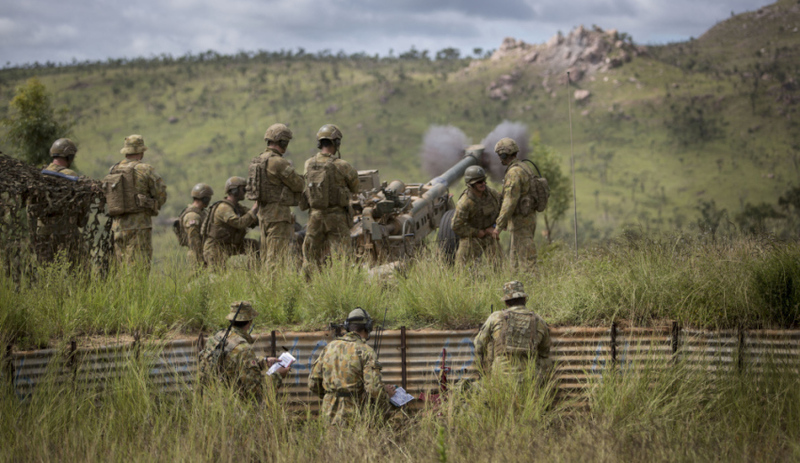 In the 'battlefield': A Royal Australian Air Force joint terminal attack controller orders an M777A2 lightweight towed howitzer gun crew from 4th Regiment, Royal Australian Artillery, to engage the 'enemy' at Townsville training area, Queensland, during Exercise Black Dagger. The chief executive and co-founder of Maestrano Stephane Ibos has highlighted key vulnerabilities within defence’s innovation processes as a fundamental propensity for failure. The former program manager for Thales, who also co-founded the cloud computing startup Maestrano in 2011, told Defence Connect that initially the team behind the company’s launch had no idea whether it "would live to see another day". "The thing with innovation is that by nature it's bound to fail," he said. "Unfortunately, you cannot know until your product is out there, regardless of the industry, and is being used and tested." Ibos said the issue was not as serious when businesses were dealing with systems that did not relate life-critical systems, as with Maestrano’s portfolio, "[but] it becomes a lot harder when you talk about aviation, defence [or the] medical industry." He urged the defence industry to develop new ways to reduce the research and development cycles, saying there is real need to speed up the process by which new products and services entered the simulation and trial stages. The CEO said testing the innovation in the operational theatre quicker was imperative, "because otherwise when our troops get on the battlefield, they’re 10 years behind other troops". To hear more from Ibos, tune into our podcast here.